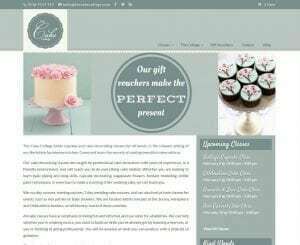 The Cake College holds cupcake and cake decorating classes for all levels, in the relaxed setting of a Berkshire farmhouse kitchen. It was a pleasure building this project. It tested Virtus to the limits with capability and is the first website on the platform to fully support complete security across all pages. What did we build in to The Cake College website?